Spectacular custom new build finished in 2018. Because this was used as a model it contains MANY DESIRED UPGRADES - reproduction cost of this home closer to $790,000. Minimum 9' ceilings on each floor including lower level. Oversized moldings, hickory flooring, metal railings, custom cabinets and custom wood closet shelving is only part of the story inside. Outside you will enjoy a large covered front porch plus a 14 x 17'9'' covered back porch complete with wiring for speakers, cable and a gas grill connection. 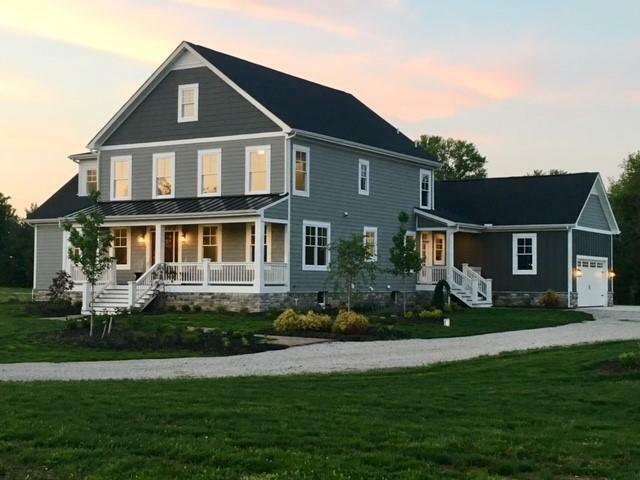 Darby Braeside is like no other with its gated entrance, 4 miles of scenic walking trails, canoe/kayak storage and being the last development allowed to back to The Big Darby. Jerome Twp has about the lowest tax base in Central OH AND only 10 minutes to Dublin! School District: Jonathan Alder Lsd 4902 Mad Co.